Are you looking to “divorce” your stock broker? Are you willing to take on higher risk, a longer outlay, and some uncertainty in exchange for a potentially higher investment? If this sounds like you, private equity may be a good choice. Let’s start by clarifying. Private equity is when you take an investment in a company directly. You do not purchase your shares through the stock market and in many cases the company does not have any publicly-traded shares. The private equity market in the United States is around $426 billion, according to TheStreet. This makes private equity sound really big, and it can be, but some are very small. Private equity is “equity capital that is not quoted on a public exchange,” explains Investopedia. “Private equity consists of investors and funds that make investments directly into private companies or conduct buyouts of public companies that result in a delisting of public equity.” By this definition, angel investing, venture capital, and “crowdlending” are each types of private equity, and each have the potential to net a tidy return. There is a potential to strike oil on these investments. In 2004, a man named Peter Thiel invested $500,000 in Facebook in exchange for 10 percent of the company. When it went public, Facebook was valued at $100 billion. It is a huge return. Now that won’t happen every time – there are only so many Facebooks and some companies that accept private equity do ultimately go bankrupt – but it could. To hedge this risk, you take private equity in several companies, knowing that one or more will likely flop. There are several ways to get into private equity. You can pick and choose the level of risk with which you are most comfortable, and the level of involvement. Crowd-lending is the least risky of all the private equity investments. In this, you loan money to a person or company in exchange for a set amount of interest later. This is usually done through a crowd-lending company that sources the deals and vets the applicants. In some cases, you may finance the loan directly while in others your investment is pooled with that of other investors. PatchOfLand is a peer-to-peer lender that specializes in real estate. According to its site, investors can earn up to 12 percent on their investments each year. So far, the lender has financed 172 loans, totaling over $65 million, and almost $12.4 million has already been returned to investors. The average blended rate of return in 11.86 percent. LendingClub is another crowd-lending company. Participants use the service for small personal and business loans, up to $35,000. To date, they have funded over $13.4 billion in loans and its investors have earned a median 7.6 percent return, as adjusted for past-due Notes. If you want higher returns, you can always consider venture capital. This type of investing comes with high risks, but it also has the potential for some of the highest rewards. 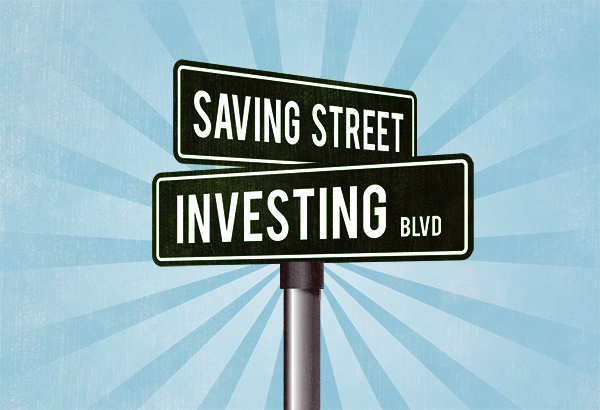 You can access this class of investments in one of two ways. The first is by talking with your local bank, chamber of commerce, or business development group, like the Small Business Association or SCORE. There may be a company that is looking for funding but for whatever reason does not qualify for a traditional loan. You could negotiate whatever terms you like, specifying when you would expect repayment, the interest percentage, whether it should be in a lump sum or installments, and so on. This is a popular route for “angel investors” who are able to provide some counsel to the business owner to help them succeed. The second is through venture capital websites. These function similarly to crowd-lending sites. Some pool money and others connect you to the company directly. Here are three of the best known. This site allows investors to co-invest with other investors. You can see with whom you are investing as well as some of their previous investments. Angel.co calls these “syndicates”. You can start your own or invest with a notable investor, like Tim Ferriss (author of “The Four-Hour Work Week”) or 500 Startups, the Silicon Valley seed fund. With Palico, individual investors can invest as a “limited partner” or LP. It provides a platform that lets you narrow leads by area of interest and interface with companies seeking funding as well as other investors who may want to buy one of your existing stakes. If you are reluctant to take on the risk of investing in a single company, a private equity fund might give you the best of both worlds. Like mutual funds or hedge funds, your money is pooled with that of investors. A money manager oversees the investments of the fund as a whole. Your returns have less upside potential, but they are hedged against loss. You will also lose some percentage towards management fees, but these are typically less than the fees other funds charge. However, you may have to be qualified and there could be a minimum investment. Renee Ann Butler is a freelance finance writer and former management consultant with over 15 years of experience in business management and strategy. She earned an MBA in financial management from Exeter in 2007 and has enjoyed a variety of international business experiences, working primarily in England and Australia. Butler's work is centered on technology, consumer trends, and investing strategies. Her writing has appeared on TheStreet, Marketwatch, Insider Monkey, Seeking Alpha and Motley Fool.